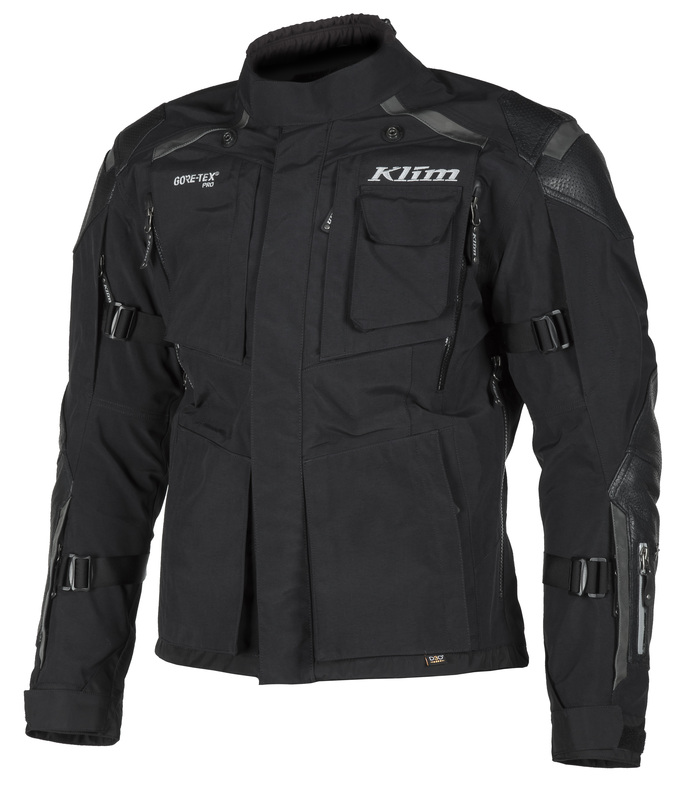 Uncompromising KLIM quality – now also for tour riders! Based on the legendary "Badlands", KLIM has taken a major, important step with the KODIAK Combi for the road. All-weather comfort for 365 days a year with a sporty cut for high speeds and – for the first time with KLIM – in European clothing sizes. Outstanding protection against wind and rain combined with an extremely effective ventilation system and top-quality safety components! Laminated GORE-TEX® 3-Layer ProShell: integrated wind and rain protection with no additional outer or inner jacket plus the GORE-TEX guarantee: "Guaranteed to keep you dry"! High breathability combined with an extremely effective ventilation system: 8 generously sized openings on the jacket plus 4 more on the trousers ensure sufficient cooling – even in summer. And for the winter, there is the KLIM Layering System: integrated base and mid layers! With Level 2 certified D30® Protectors on the back, shoulders, elbows as well as hips and knees, you are optimally protected. The safety package is supplemented by an aerated breast protector! High-quality materials: 860D Cordura in the core area and ARMACOR inserts on the jacket and buttocks provide best abrasion resistance and tensile strength at low weight. High-quality leather on the shoulders, elbows and knees give the Combi a sporty on-road look! Other highlights: the integrated kidney belt! It secures the jacket to the body to take the strain off the shoulders. This provides more comfort and additional safety – especially on long stages! Jam-packed with storage space, multiple width adjusters, a connection zipper (jacket, trousers), a completely waterproof document pouch accessible from outside – these are just a few of the noteworthy details of the KODIAK Combi! The KLIM KODIAK is a multifunctional partner offering maximum comfort and protection for the most demanding routes around the globe! The jacket and trousers are available in the European sizes 48-58 and in the outsizes 25-29, the trousers also in overlengths. The price for the jacket is €1,049, for the trousers €769. Oversizes and overlengths cost an extra €20. The KODIAK suit is available in black as well as a grey/grey/black combination. You can find out more about KLIM and KLIM-Europe at: www.klim.com or write to us at: Info@sevengmbh.com.